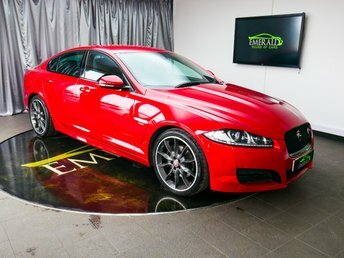 Less than an hour's drive from Kidderminster, Emerald House of Cars in Wednesbury provides used cars from a number of top manufacturers, such as Jaguar. At Emerald House of Cars, all vehicles are taken through thorough safety and quality checks so that you have total peace of mind with your new vehicle. We also can put together finance contracts and aftercare services customised for you. Our team of experts provide the highest standard of assistance and we will not be happy until we have done everything possible to make sure that you are absolutely satisfied with your new car. Visit our dealership in Wednesbury and our useful staff members will help make sure that you get amazing value for a top-quality car.